Dyan deNapoli is a penguin expert and author of The Great Penguin Rescue, which chronicles the remarkable rescue of 40,000 penguins from the Treasure oil spill in South Africa. She was a member of the first team of penguin specialists to fly to Cape Town from the US to train and supervise more than 12,000 dedicated volunteers who saved the oiled penguins from certain death. Dyan also helped manage the penguin colony at Boston’s New England Aquarium for nine years and now, as The Penguin Lady, she lectures internationally about penguin biology and conservation. To date, she has taught approximately 250,000 people about these charismatic seabirds. Dyan has been the featured penguin expert on several television and radio shows, and on nature cruises to the Antarctic and the Galapagos Islands. She donates 20% of the proceeds from her book and from every public appearance to penguin rescue groups. * What caused the Treasure oil spill? * What was the most challenging part of this rescue? The most rewarding aspect? * How did you come to be involved in this rescue effort? * How successful was this rescue effort, and did the birds survive after being released? * What has happened to the rescued penguins in the ten years since the Treasure oil spill? * In what ways does oiling harm penguins? * How does one clean and rehabilitate an oiled penguin? * Did you go to the Gulf of Mexico to help out after the BP oil spill? * What is the current forecast for penguins worldwide? Do you want to Learn How to Communicate with Pets? 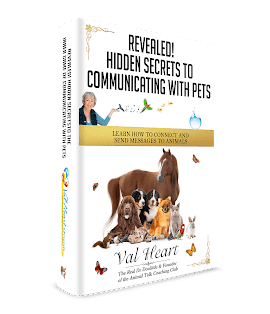 Get my free Ebook Hidden Secrets to Communicating with Pets!